You Must Have Qualified at the Zone Championships to Compete. Wrestlers must register, weigh in, and qualify at zone to participate at State. You must attend the zone qualifier that your primary club practices. There will be a growth weight allowance at state only! 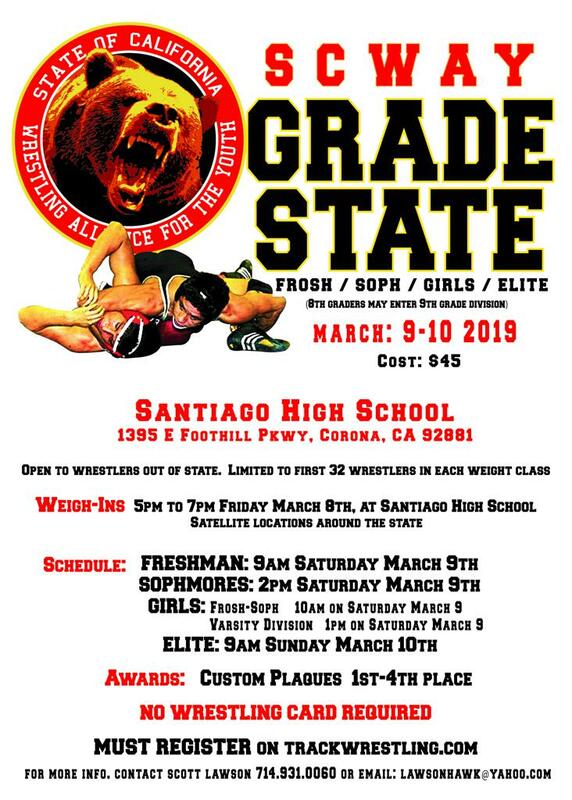 5-6, 7-8, 9-10 will receive a 1 pound allowance at state only. 11-12, 13-15 will receive a 2 pound allowance at state only. Seeding at state will be based off the SCWAY State Rankings for the top 5 point scorers in each weight class. ©2019 SCWAY / SportsEngine. All Rights Reserved.